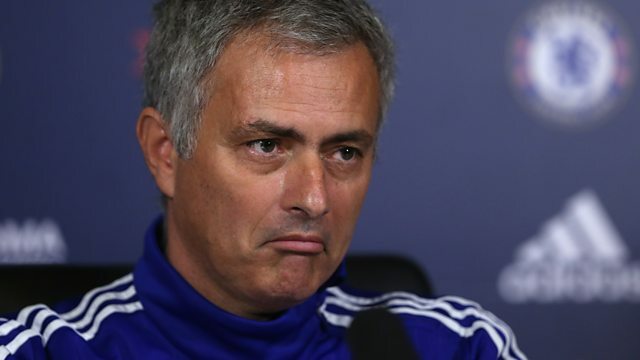 A “Chelsea first-team player” has said he would “rather lose than win” for manager Jose Mourinho, according to 5 live’s Garry Richardson. Speaking on Sunday’s Sportsweek, Richardson said he had been passed the information by a “football contact” who told him the Blues boss’ relationship with players was at “rock bottom”. "I was told they're fed up with the way he's been dealing with some of them. They're fed up with his outbursts. I was told that his relationship, particularly with Eden Hazard, was under immense strain," he said. It comes after Chelsea were defeated 3-1 at home by Liverpool on Saturday. The champions have lost six of their first 11 games and are 14 points off Premier League leaders Manchester City. This clip is originally from 5 live's Sportsweek on Sunday 1 November 2015.